After having created a Placement, the Administrator must confirm the Placement to release it to the users involved. If a Placement is not released, the candidate will not be able to begin recording hours nor will Assessors be able to complete assessments or surveys. 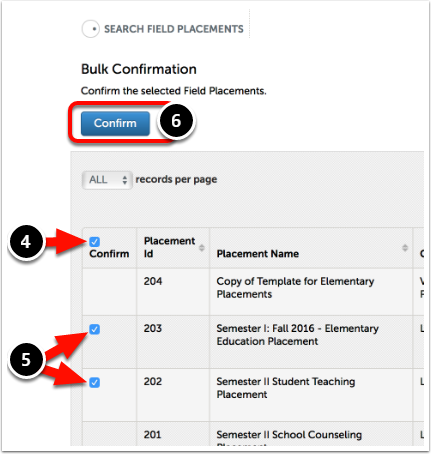 The Bulk-Confirm Placements tool is especially useful if you, as an Administrator, have used the Placement Importer and must confirm multiple Placements at once. 3. Click on the Show Bulk Actions button. 4. Use the "Confirm" checkbox in the table header to select all possible Placements eligible for confirmation. 5. 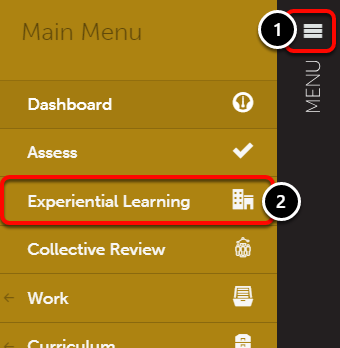 Use the individual checkboxes next to eligible Placements to confirm individual Placement(s). 6. Click on the Confirm button to confirm all "checked" Placements. Once the Placement(s) have been confirmed, a green message will appear to confirm the action.